Intricately detailed and eye-catching in design, our Lotus Buddha Garden Statue will make a standout addition to any zen garden, meditation zone, or place of relaxation. Meticulously handcrafted in the finest reconstituted stone, it features a Burmese buddha deep in meditation with a lotus flower shaped bowl to represent purity and enlightenment. 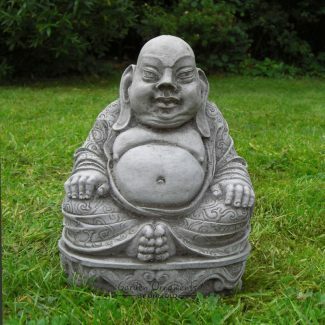 Dressed in the finest jewels, our Lotus Buddha Statue will bring a touch of regal charm to any indoor or outdoor space. It is elegantly elevated on a stone cushion and designed to work beautifully in lush green gardens and oriental themed water features. 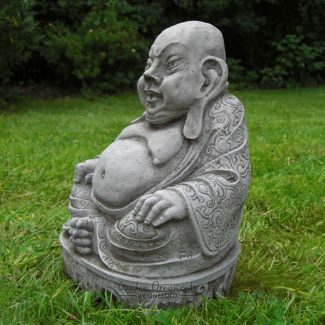 A best-seller, this enchanting garden ornament will make an outstanding gift for anyone who practices yoga or mediation.